iXyr Media specializes in building high-quality, responsive websites. 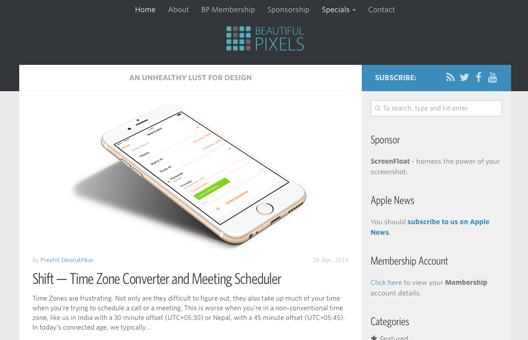 We build websites — not just for our clients, but also for our own network. Very few know web-development like we do. We're experts when it comes to Managed WordPress Services. Looking to build your own website? Just tell us what you want, and leave the rest to us. 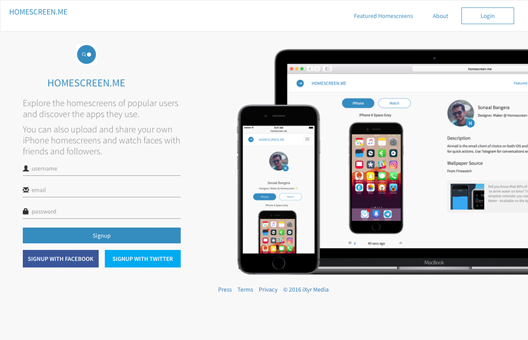 A hand-picked showcase that exhibits exceptional examples of good visual design in apps, websites, icons, wallpapers, etc. 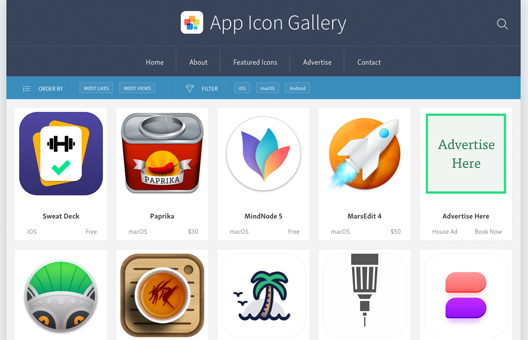 A beautifully curated showcase of app icons for iPhone, iPad, Mac, and Android platforms. Browse and get inspired. 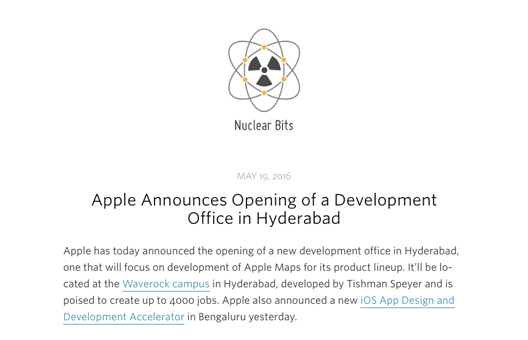 Nuclear Bits is a unique perspective about Technology, Apple, India and the web. Subscribe to daily updates on what's happening around the web. A great way to showcase your iPhone and Apple Watch to your friends and followers. Browse Homescreens posted by others, or post your own. We've built these websites for our clients. Kalnirnay / Sumangal Press Pvt. Ltd. The Kalnirnay® Group is known all over the world as India’s premier almanac maker. Since its inception in 1973, the group has emerged as the No. 1 and most authentic almanac maker, providing up-to-date information about India’s traditional festivities, auspicious tithis and culture. According to the Audit Bureau of Circulation (India), Kalnirnay® is the World’s Largest Selling Publication with a circulation of 1,81,87,168 copies. iXyr Media worked on a complete revamp of the Kalnirnay website, rebuilding it using modern web standards and WordPress. Universal Education is the the fastest-growing education enterprise in India and one of the largest private education groups in Western India. The foundation of our organisation is the mission to develop human capital for the society in the field of education. Since establishing its first vocational institute in Mumbai in 1968, the UE has grown to operate 20+ institutions across three districts in the state of Maharashtra. iXyr Media manages the domains and web-hosting for close to 50 websites for schools and colleges under Universal Education. We believe in achieving results by working together towards a common goal. If you are looking to build a website, or have any other ideas on mind, let's talk. © 2002 — Present iXyr Media. All rights reserved.